Arkadium has been reinventing content since 2001. In that time, our products have been played hundreds of billions of times—and counting—delighting users while helping our brand and publishing partners achieve their goals. 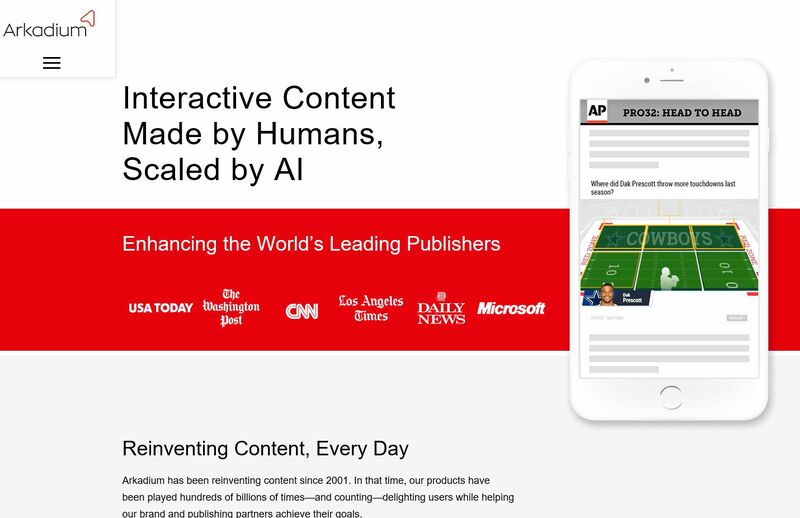 The biggest names in technology and publishing use Arkadium products, including Microsoft, the Washington Post, CNN, Comcast, Time Inc, Gannett, tronc, USA Today, and many more. Our content—from interactive data visualizations (called factives) to games, quizzes and more—is proven to extend, retain and monetize user engagement.